The Team / Threat or Benefit? How do we get the engagement of others? We’ve all had moments when we didn’t manage to focus on what we had to do, didn’t understand the information we worked with, didn’t find solutions to problems or we couldn’t make decisions, although the situations we confronted were familiar, we had tackled them before. These bottlenecks appear especially after we had just gotten a negative feedback, filled with accusations, that makes us question everything we’ve done recently; when we found out we had been excluded from a team meeting; when we find out that the company is changing but we don’t have much information about what implementation will look like or how it will impact us, etc. The human brain is a social organ. Its physical and neurological reactions are directly affected by interactions we have with others. Research in neuroscience highlights that our brain responds to “threats” and “reward” in social interaction in the same way and at the same intensity as it responds to physical threats (an assailant, pain) and rewards (food, money). Therefore, when we feel humiliated or disadvantaged in our social interactions, the same neural circuitry activates as if we’re attacked by a group of hooligans or a dangerous assailant. In that moment of THREAT, the brain assigns few resources to the prefrontal cortex (responsible for conscious thought, rational thinking, problem solving, decision making, self-regulation, etc.) and instead assigns resources to the primitive part of our brains (responsible for managing threat response, like “fight or flight”) that will act quickly in defending us (we retreat or we defend). Therefore, our ability to think rationally, make decisions quickly, solve problems, focus on what we’re doing and collaborate with others is reduced. 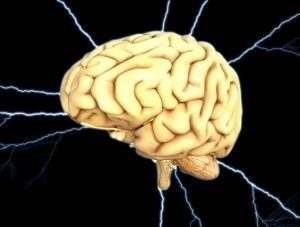 Our brain reacts automatically to threats or rewards perceived in interactions with others, generating reactions of “engagement” or “disconnect” toward our assumed responsibilities. How can we use these conclusions that neuroscientists reached, in either the position of team leaders, managers or members of a team on a project? How can we generate more responses of “engagement” while reducing those of “disconnect”? Neuroscience offers the answers too: there are 5 social needs (Social Status, Certainty, Autonomy, Relationships and Correctness) that activate the same neuronal circuits of reward and threat, like the need for physical security. The Social Status indicates our need for comparative social importance, respect, recognition, esteem and position in society. Threats specific to status would be a superior attitude toward us, receiving negative feedback, failure in a way that makes you feel inferior, receiving advice delivered with an air of superiority, isolation from the group, etc. The reward can be triggered by a promotion, public recognition of your contribution, getting positive feedback or learning a new skill. Certainty refers to our interest in knowing what will happen in the future. Perceiving a threat to certainty can include: hiding the truth or saying only half-truths, inconsistency, radical change, job uncertainty, new experiences or working with strangers. The reward can be triggered by familiar places and people, consistency, security and stability. Autonomy refers to the need to know we have options regarding what we do next and a certain level of control over the environment and circumstances we find ourselves in. The need for autonomy can be threatened by micromanagement, working in a team under very strict/authoritarian directions and policies, a “command and control” leadership style and inflexible rules. The reward can be participating in the decision making process, organizing your own tasks, self-directed learning, etc. Relationships refer to our need to feel safe with other people and feel that we are part of a group, that we belong to a group. Threats to our relationship need can be triggered by being ignored, when we perceive that we are excluded from the group, when we work with a new team. The reward can be triggered by the feeling that we belong, the feeling of trust or friendship, participating in reaching common objectives, etc. Correctness refers to our need for equitable exchanges. The feeling of threat can be triggered by broken promises, expectations that are not materialised, rules or standards that are different for different people, incoherence. The rewards for correctness can be triggered by honoring engagements and promises, maintaining transparency, open communication and taking responsibility for mistakes. If you are in a leadership position, every action you initiate, decision you make, the way you communicate, all of them serve or undermine the needs for status, certainty, autonomy, relationships and correctness. The words you use, the tone of voice you’re speaking in, your gestures, etc. are all interpreted and given social meaning by others. This is the reason why the leader role is so difficult to assume and apply. That is why recent explanations of the way the brain works and social needs that we are sensitive to are useful tools in the way we relate with others and gaining their engagement. Both as leaders and team members, these tools make us aware of key concerns regarding us and others (even if we are not aware of them) and guide us in calibrating our actions, communication and relating to others with the purpose of the desired impact.